bee boy dance crew. nature….kinda. since this blog is all about bees…. bees. there was some heated debate here at the blog regarding these bees. and by heated….i mean 2 to 3 comments. 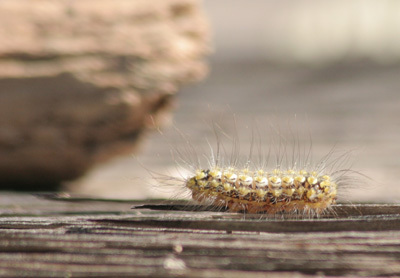 ligustica….or a ligustica meliflura hybrid? one is safe, one deadly. but the bees are pretty. and i have learned that the later in the day you catch them, the bigger their pollen sacks are. ooh. . . that sounds weird. if you’re interested in learning more about bees, please visit buzzy’s site. and if you’re interested in the conservation of bees, please understand that what you eat, where you buy, etc. all have an impact on our critters, but more importantly…the conservation of our critters has an impact on us. rest up, late nights are coming! i am a fire pit. bright and welcoming under the late night stars. in the morning kind of a pile of ashes. black light party time is coming. fire pit season is on it’s way. we’ll meet at my house after dark, set up the lights, pop open some beers and wait for the night life to fly in. 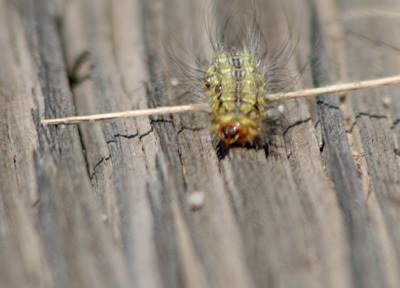 transparent wings and round, protruding eyes. i can’t wait! for snacks i’ll make a salad with black beans, corn, cumin, cilantro, balsamic vinigar and red onions. . . but. . . bella and buzzy will eat pentatomid bugs instead. save up your wooden nickels and you can buy into the fun. primordial night life. flying things in your hair. pickles herding beetles. wait a minute….you’re not my bee! well, hello there! it’s been a few days since i posted…and way too long since i posted about me bees. it started with hundreds of agapostemons on 8/18/08. it was and exciting discovery. we’ve monitored the lovely green metallic bees as their numbers decreased. on from 10/31 to 11/3 there was a solitary bee. just hanging on. all alone. sleeping the nights away. 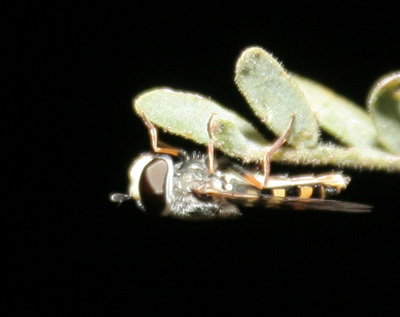 a syrphid. not a bee, but a fly. taken with a canon 20d, but without a macro...i need a macro! a syrphid. a bee mimic. at first i was peeved. had he eaten my bee!? no. had he been keeping his eye on this hot piece of property? of all the millions of tree stems and branches in my back yard…he moved onto my bee branch? why? winter is coming. i’ll miss all the bee action. then spring will arrive and i will have to protect myself from the giant beetles all over again…. i guess i need a rest from all the heavy insect activity. i’ll post again tomorrow. bye! long legged…skinny. must be one of the sexier bugs? oooh. rare sighting! 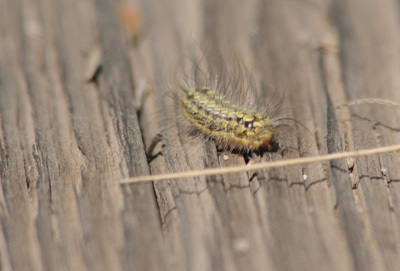 i give snaps to my co-volunteer l. for spotting this very special critter. 1. they’re hard to see. 2. there aren’t scads of them swarming about like bees. cool thing about this guy: when l. found him she said that they were black in the midwest, where she’s from. wow….they’re reddish where i come form and they’re a dusty brown here. what wondrous variety. 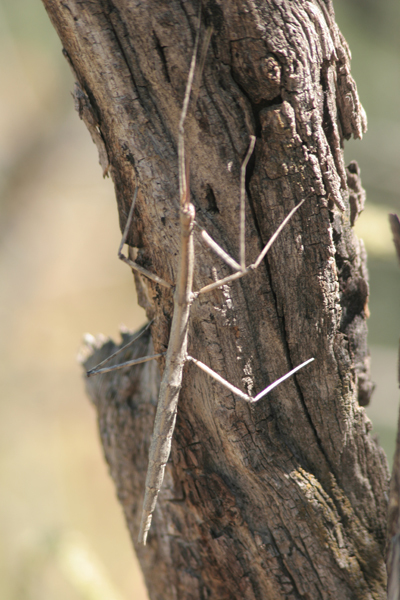 so the bunch of us got to chatting about walking stick behavior. 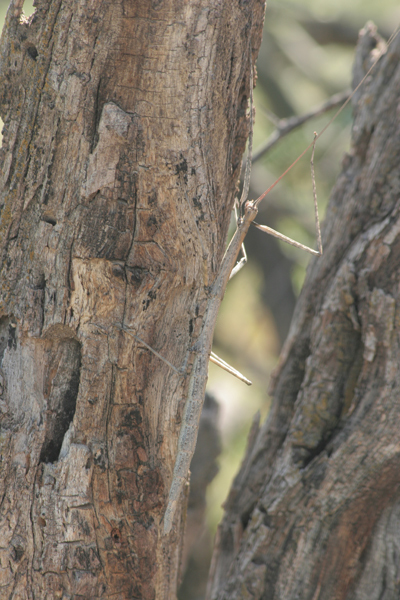 here’s the cool thing someone mentioned…when the wind picks up and the tree sways…the walking stick insect feigns a sway as well. please note: i’m NOT scared of these bugs. bugs i am not scared of: walking sticks, bees, praying mantis, cactus beetles, leaf legged bugs, lady bugs, scarabs, moths, butterflies, dragonflies. 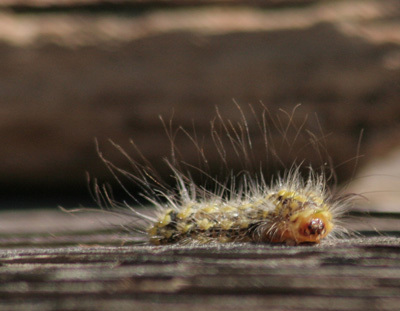 insects that scare me, yo! : earwigs, fleas, ticks, centipedes, roaches and the like, spiders (ack!) mosquitos, termites, wasps, crickets! welcome sports fans! as many of you know, cody bear and i have taken up the fun dog sport of AGILITY! we’re both addicted! as you also know, i volunteer each saturday at a local wildlife center. oh my. 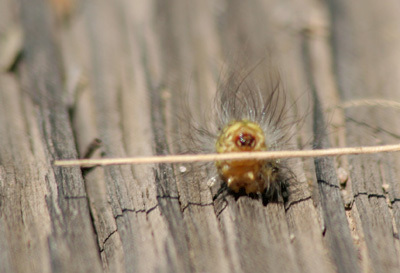 photoanimal and i found a spunky lil’ C-pillar, yo!